Standard clinical experiences don't improve long-term health. Most standard clinics are only structured to treat symptoms. Root causes are never addressed. As a result, no one is actually getting any healthier. An unused on-site clinic won't save money. We've designed our clinic experience to guarantee maximum utilization by reducing wait times, providing extended times with providers, and more. Behavior change is the only way to improve long-term health and drive down long-term costs. We've built our clinical experience around behavior change to get at root causes, not symptoms. Here's the bottom line. If people don't use your clinic, they won't get healthier. As a result, expected cost savings will never appear. Without cost savings there's no reason to invest in an on-site clinic in the first place. 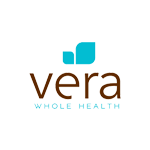 Learn why Vera on-site clinics transform workplaces. Understand how Vera's approach to managed care drives cost savings. We hope you'll take a few minutes to read this four-page white paper and discover what makes Vera different.